If you are suffering from an aching back, stiff neck, and a worsening slouch, then you are officially part of the office club! Sitting in a chair for 8 hours a day can really take its toll on your back, putting stress and tension on the lower back. It’s likely that most of your day involves sitting, from commuting to and from work, to relaxing by sitting in front of the TV or computer at home. This prolonged inactivity has contributed to the common ‘sitting disease’ epidemic. In fact, according to the director of Healthy Active Living and Obesity Research, Canadian adults spend three-quarters of their day sitting. The end result is discomfort, which can be very taxing on the body, wearing you down both physically and emotionally, and ruining your posture. The problem is that pain isn't normal! It’s springtime and everyone is ready to get out there and be active. Although this may sound like a way to combat the problem, it could quite literally add insult to injury. It’s important that you don’t throw your back into a situation that it can’t handle because you may end up with a much more serious back injury. You could be putting your back at risk for things like muscle weakness, poor posture, and degenerative disk disease. Take frequent breaks – get your circulation going, stretch, and roll your shoulders. If you can, take a quick walk around the block. 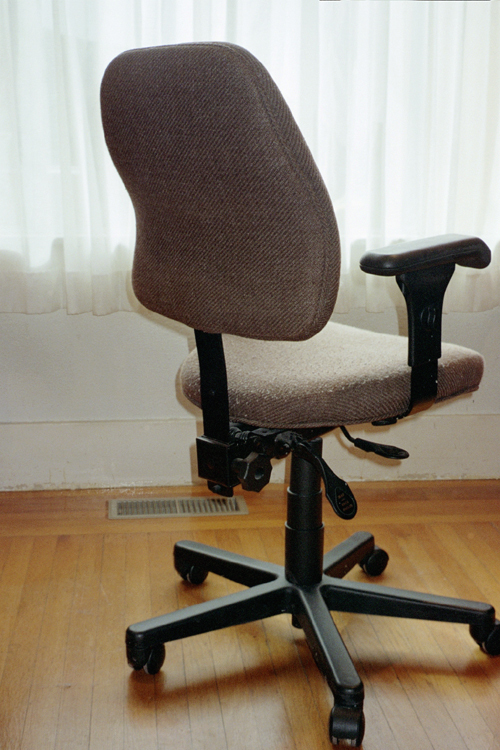 Fight the urge to slouch by sitting up straight. It may be hard at first, but it will take some of the pressure off of your lower back. Massage therapy and other clinical services are going corporate. Since most of your days are spent at the office, employers are introducing wellness to the workplace by accommodating their employees. Employees that are feeling good and are free of pain are more productive. Epsom salt baths are great for relieving and relaxing aching muscles. Add 1 or 2 cups of Epsom salt to warm water and enjoy a 15-minute soak. Run some errands – stop at the grocery store on your way home from work, or fill up your gas tank - every little movement helps! Routine visits to a chiropractor can help realign your spine and relieve back and neck pain. Massage therapy sessions can help to relieve pain and improve circulation. If you’re interested in receiving professional help for your back, contact Downsview Chiropractic, where our team will get you on the road to recovery and feeling good again.